Cars fans—Start your engines! 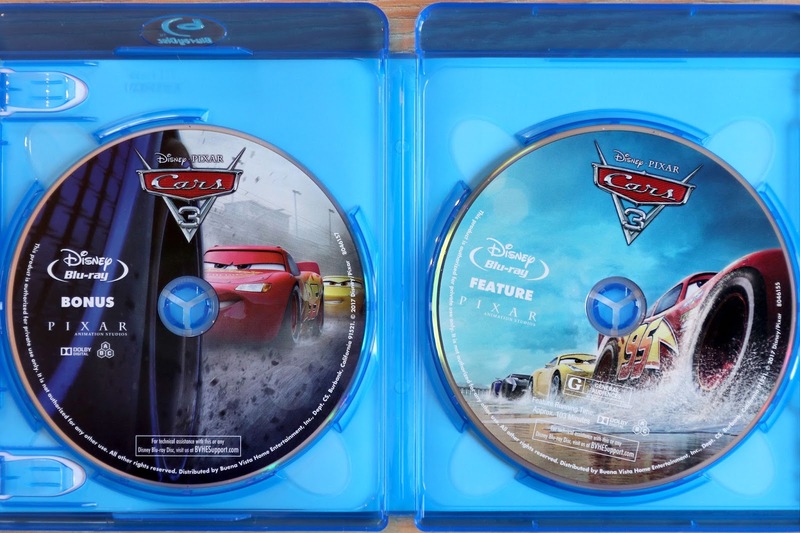 Cars 3 hit Blu-Ray and DVD this past Tuesday (November 7th) and I'm here to give you an in-depth look into all the terrific bonus content as well as my overall thoughts on this release. As a big fan of Cars 3, and the Cars franchise in general, I'm thrilled to finally own this as part of my collection! The trilogy is complete. I know the digital release has been available to own since October 24th, but since I'm a Blu-Ray collector (yup, I still prefer discs—call me old school), I was fine with holding off and waiting the extra three weeks to get my physical copy. Today I'm diving into the standard DVD+ Blu-Ray+Digital HD Combo Pack, which I pre-ordered at the Disney Store (and got a free lithograph set). I know there are other releases out there as well, such as the 4K release, the Target edition with included storybook and the Best Buy SteelBook edition (see my announcement post on them HERE), but all the special features are the same across all versions this time around. Thank goodness, boy does that make things easier. Note: This is just my review of the Blu-Ray special features and not the film itself. Though I never ended up getting around to my full review of Cars 3, just know that I absolutely love it. 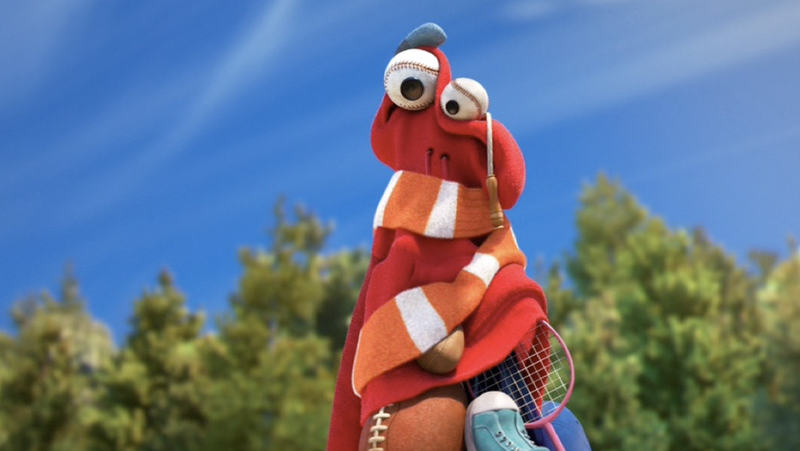 It's another fantastic Pixar success in my book and a more than worthy followup to the original. I was so happy to see the franchise go back to the "routes" (and feel) of the first film and tie everything together so perfectly. Alrighty, let's just get right into everything! Well actually, before even getting into all the great bonus content, I just have to make mention of the gorgeous menus. Pixar really has their Blu-Ray menu style down now; keeping it very simple and utilizing their stunning scenery as a backdrop. Audio Commentary (running time 1:42:21 *length of film*)- Brian Fee (Director), Kevin Reher (Producer), Andrea Warren (Co-Producer) and Jay Ward (Creative Director) have an in depth discussion about the film! I haven't had time to listen to the entire commentary quite yet, but what I've heard is as interesting as ever. Audio commentaries are my favorite part of any Pixar home video release, so I was anticipating this one a ton. Lou Theatrical Short Film (6:44)- Directed by Dave Mullins, this Pixar short instantly climbed the ranks to become one of my all time favorite short films from the studio. It's just so clever, colorful and endearing (with some great music to boot—see my soundtrack review HERE). A real charmer! Be sure to check it out if you haven't already. Miss Fritter's Racing Skool NEW Blu-Ray exclusive "Mini-Movie" (2:45)- While this brief little short isn't looking to be any kind of masterpiece, it's a funny concept. 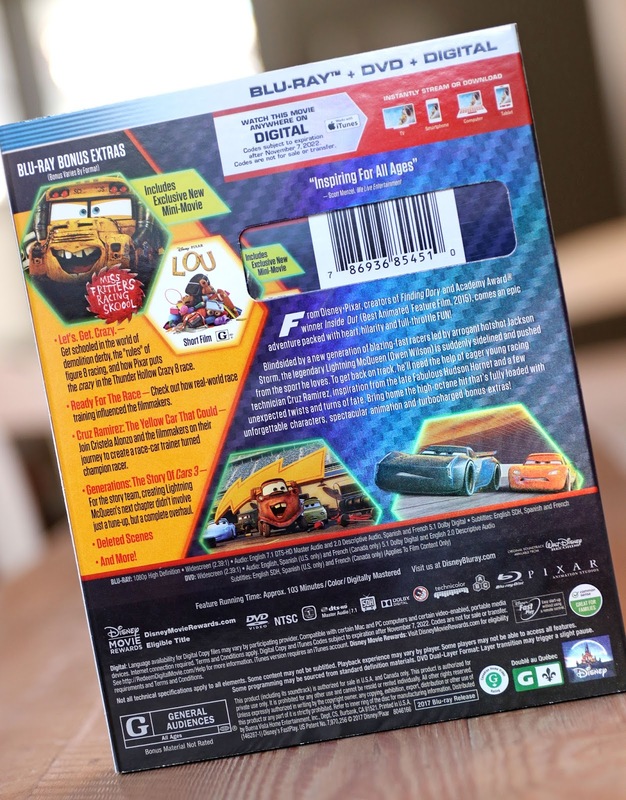 In it you'll see Lightning and Cruz catching an infomercial style video featuring fan favorite Miss Fritter advertising her "Racing Skool." I liked the "sappy" testimonials of some of the other demolition cars, not to mention seeing the "microphone" in some shots always reminds me of the old Pixar bloopers! It gave me a chuckle, despite being similar so some of the other "interview" type segments I've seen from Pixar. To my surprise, this short was helmed by LAVA director, James Ford Murphy. Ready for the Race (5:41)- Disney Channel star Olivia Rodrigo chats with NASCAR (real life "Next-Gen") Racer William Byron at the Hendrick Motorsports campus. Byron gives insight into what being a NASCAR driver is like and discusses how he got involved with the sport. The Disney channel hosts are always a little hokey, but I enjoyed seeing the real world inspirations behind much of what was included in Cars 3 (including testing out an actual racing simulator). It's really amazing stuff! Cruz Ramirez: The Yellow Car That Could (7:46)- I liked this little mini documentary a lot. Here the Cars 3 filmmakers discuss the collaborative effort that went into making Cruz Ramirez the flawed, yet lovable, strong and relatable character we see in the final film. It made me appreciate the character that much more! 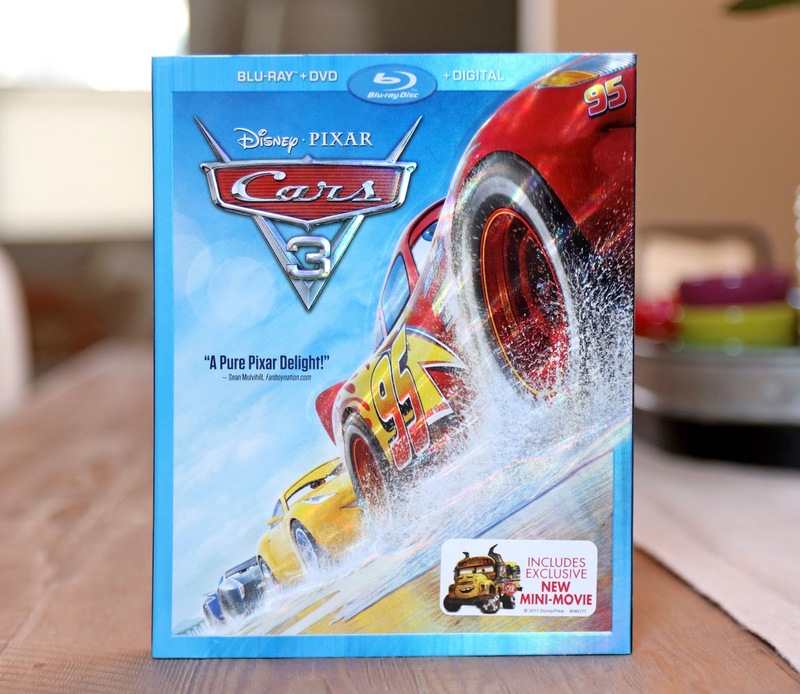 Generations: The Story of “Cars 3” (11:17)- This is one of the longest featurettes on the Blu-Ray, though I still wish it was much longer. In this one, the Cars 3 team discuss the challenges of crafting the film's story (while also revealing some details on earlier iterations), the difficulties of sequels, resurrecting the Cars 1 feel and what it took to create a satisfying ending for McQueen's three film arc. One thing I especially appreciated here was seeing director Brian Fee and hearing him talk about the film. I feel like he stays under the radar a bit and out of social media, so it was cool to hear from him a bit. Let’s. Get. Crazy. (7:41)- This featurette was very entertaining. 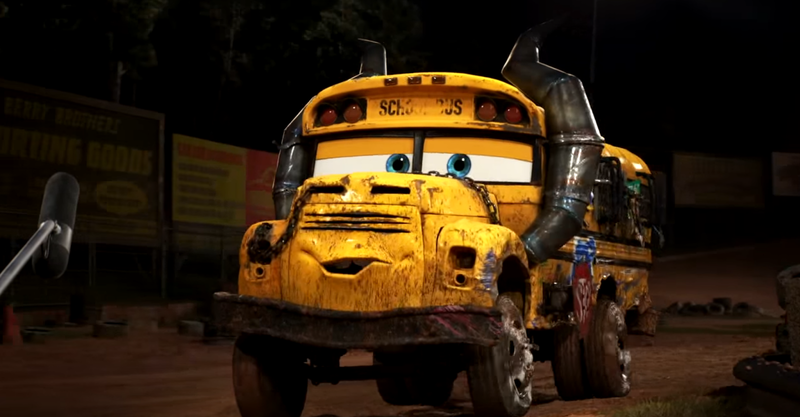 I loved learning about/seeing what a real life Crazy 8 demolition derby is like (something I knew little to nothing about) and what it took to translate that into an animated film! This has to be one of my favorite sequences in the movie as well as one of, if not THE most complex to create. Oh and did I mention that this segment is hosted by Miss Fritter herself, Lea DeLaria? Cars to Die(cast) For (5:20)- Now even though this is one is short and sweet, it's no doubt one of my favorites on the Blu-Ray. As a massive, long time collector of Mattel Cars diecasts, this featurette was so much fun to watch (in fact, I've already watched this a few times). In it the filmmakers and consumer product managers discuss the sheer amount of diecasts out there (with Cars 3 in the mix, they've hit over 1,000 unique releases since 2006), how Pixar employee's names are "car-ified" and more. Legendary (11:21)- This documentary is the longest of the bunch and gives you a historical look at racing legends Wendell Scott and Louise Smith (featuring archival footage and historian interviews), as well as how they influenced the film's story. I really love the "legends" aspect of Cars 3 (it brings back that charming old town, nostalgic feel of the first film—yet in a different way) and this featurette gave me even more appreciation for that and NASCAR in general. This one is a slower pace (for me it dragged a little, since I'm more interested in the actual filmmaking), but I still enjoyed it for what it was. World’s Fastest Billboard (5:29)- This is the kind of stuff I love. Here the Cars 3 creative team discuss some of the clever background graphics, stickers, products, sponsors, advertisements, billboards, signs and more featuring clever "car-rified" puns, inside jokes and references to other Pixar films. Most of what they bring up, you would never catch unless you knew it was there, which makes this an extremely fun and insightful watch! Fans of Easter eggs and hidden references will love this. Fly Throughs- Take a swooping, airborne look at three virtual sets seen in the film including Thomasville, Florida International Speedway and Rust-Eze Racing Center! These are about a minute long and really let you soak in some of the incredible scenery created by the film's animators. It's completely mind blowing how realistic some of the shots look. My First Car- A collection of little storyboard/animatic style illustrated first-car stories as narrated by members of the Cars 3 cast and crew. There's “A Green Car on the Red Carpet" with Kerry Washington (1:51) “Old Blue" with Craig Foster (1:20) and “Still in the Family” with Valeria Barra (2:14). You've seen things similar to these on previous Pixar home video releases; they're cute, short and sweet stories, but I can take them or leave them. 5 Deleted/Alternate Scenes- Each deleted scene is set up with an introduction as to why it was removed from the film. The scenes (presented in storyboard form) include “The Boogie Woogie” (5:02), “The Jars of Dirt” (4:21), “Lugnuts” (2:48) “The Bolt” (4:15) and “More Than New Paint" (8:50). I'm not going to go into detail on each one, but I'll say they're definitely worth watching. It's always interesting to see previous renditions of a film's story/characters and which ideas were repurposed into the final cut. For those of you who've watched it, what do you guys think of "More Than New Paint", which is ultimately an alternate ending? Which outcome to you prefer? And finally, as usual, there is a collection of trailers and animation/promotional character toolkits. They speak for themselves. What are some of your thoughts? Be sure to share in the comments below!